Days after incumbent Mayor Jackie Biskupski bowed out of this year’s mayoral race, another candidate has tossed their name in the arena: Christian Harrison. Earlier in March, Biskupski filed a lawsuit against the Inland Port Authority, challenging its constitutionality over usurping city land-use powers. The city council, meanwhile, has communicated with the state over the port’s plan—painting a good-cop, bad-cop relationship with the state. 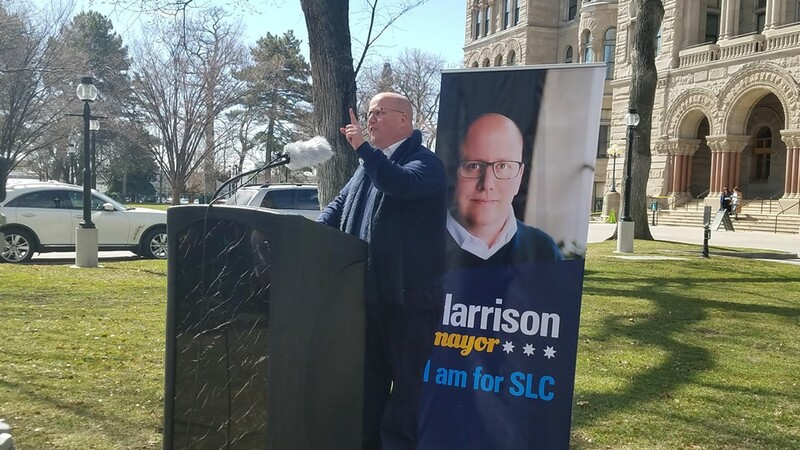 Harrison, who is openly gay and a practicing Mormon, enters a mayoral race that is already full of candidates ahead of the August primary. Those candidates include former state senator and current podcast host Jim Dabakis, former Salt Lake City Councilman Stan Penfold, local businessman David Ibarra, former Pioneer Park Coalition executive director David Garbett, freelance journalist Richard Goldberger and city resident Aaron Johnson. Sen. Luz Escamilla, D-Salt Lake City, has said on Facebook she is considering a run for mayor, but hasn’t yet decided. The top two vote-getters in August will advance to the November general election. With Biskupski out of the race, it could lead to a wide-open field. According to a poll conducted by The Salt Lake Tribune and the Hinckley Institute of Politics, though, Dabakis is in the lead, with support from 26 percent of respondents. Harrison, who left his position with the Downtown Community Council in January after more than a decade, was not included in the survey. Escamilla received 6 percent, Ibarra earned 3 percent and Garbett 2.